Turns out I can do two brainless activities at the same time: watch people pass out on American Idol, and glue small stacks of paper together. I made these pendants last night. Like the pixel heart version, I created a design in Adobe Illustrator, cut a dozen shapes out of cardstock using my Silhouette cutting machine, and glued them into a stack. When the glue dries, the pendant is hard and strong. Each of these is about 2" tall and 1/8" thick. See here for a slightly more detailed how-to. In the geometric pendant in the first photo above, I sandwiched two "filler" shapes in the center of the pile to add some solid areas. To download the template files (PDF, .svg, and .dxf for the Silhouette machine), click here. 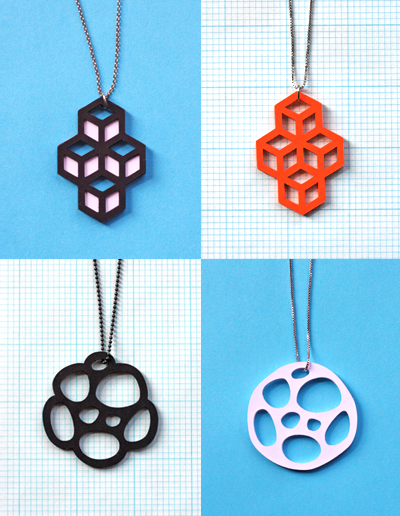 You have read this article downloads / paper / tutorials with the title More DIY cut-paper pendants. 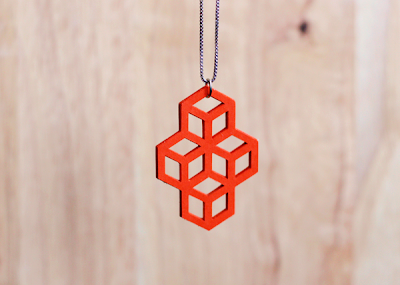 You can bookmark this page URL http://jenkrebs.blogspot.com/2012/02/more-diy-cut-paper-pendants.html. Thanks! 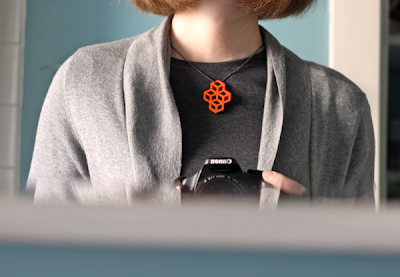 No comment for "More DIY cut-paper pendants"